Thinking outside the box . . . a metaphor that means to think differently, unconventionally, or from a different point of view. 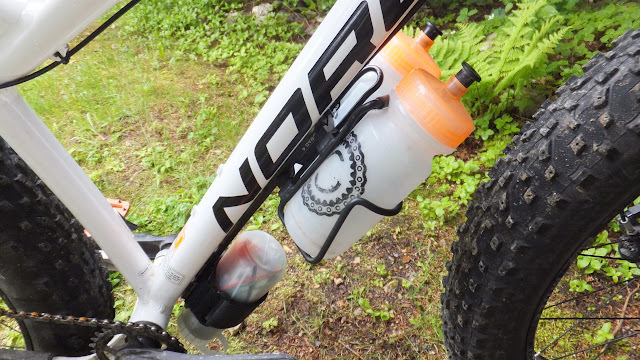 The folks over at Wolf Tooth have once again donned their thinking caps, thrown caution to the wind and challenged the status quo with their Bottle Relocation and Accessory Device (B-RAD) on-bike storage system. 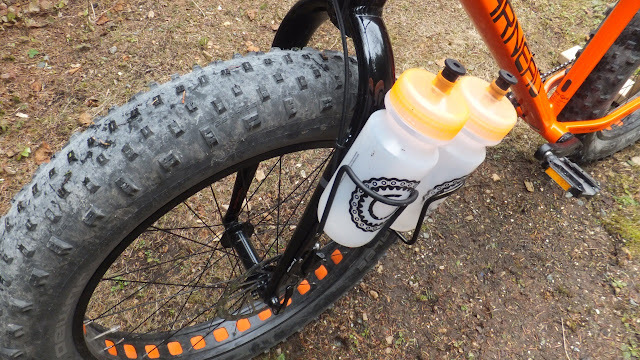 This innovative product uses the water bottle mounting points to maximize storage on your fattie. 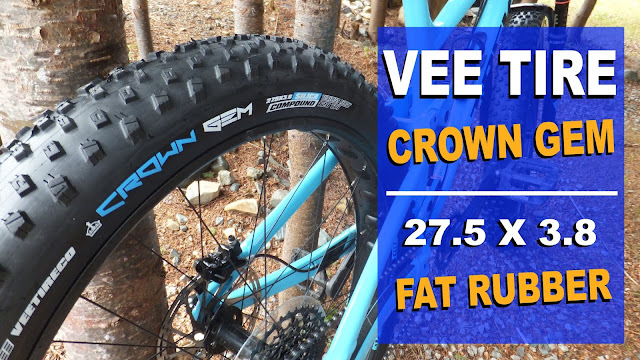 Fatbike Republic was fortunate to get its paws on a selection of goodies from the B-RAD system to see how it fares in the world of fat. The key to the entire B-RAD system are the mounting bases. 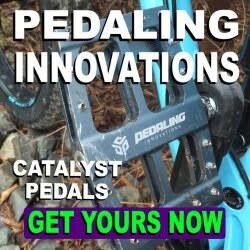 Made in the USA from 6061-T6 aluminum (also used in aircraft fittings) these bases come in three sizes B-RAD 2, 3 and 4 and are compatible with standard 64mm bottle cage braze-ons. 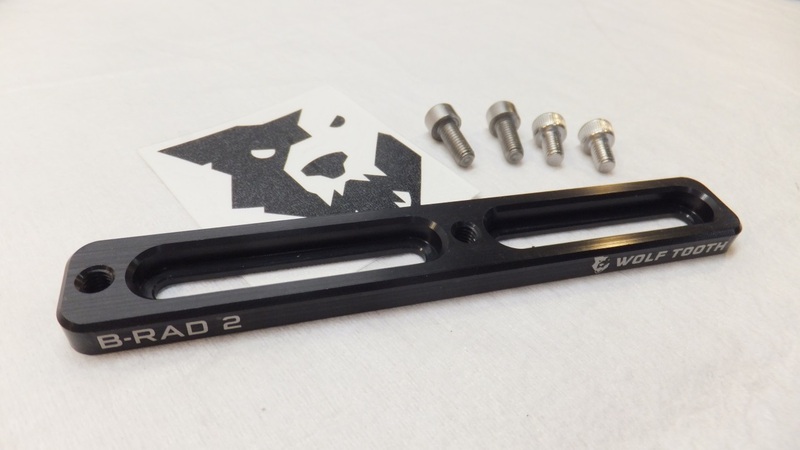 The B-RAD 2 is the shortest of the rails measuring in at 5.15 inches (131mm) and weighs in at 24g which is a little lighter than the claimed 27g. It is a two slot base with two threaded holes (M5 x 0.8) and comes with four 18-8 stainless steel bolts in two lengths. 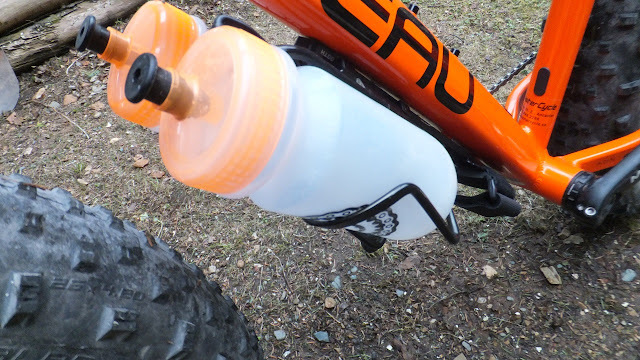 It primarily claim to fame is to optimize water bottle location in a smaller frame or to mount one of the B-RAD accessories. 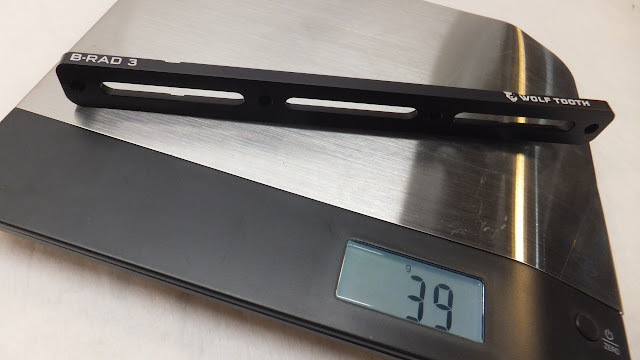 The B-RAD 3 is the midsized rail and measures 7.95 inches (202 mm) weighing in at 39g (claimed 41g). This base has three slots and four threaded holes and comes with a closed cell neoprene foam pad and zip ties for secure mounting. Supplied stainless steel bolts mount it to the frame. This base offers additional mounting points over and above the B-RAD 2 and is perfect for mounting a water bottle and B-RAD accessory in tandem. This one is probably the most versatile of the three. 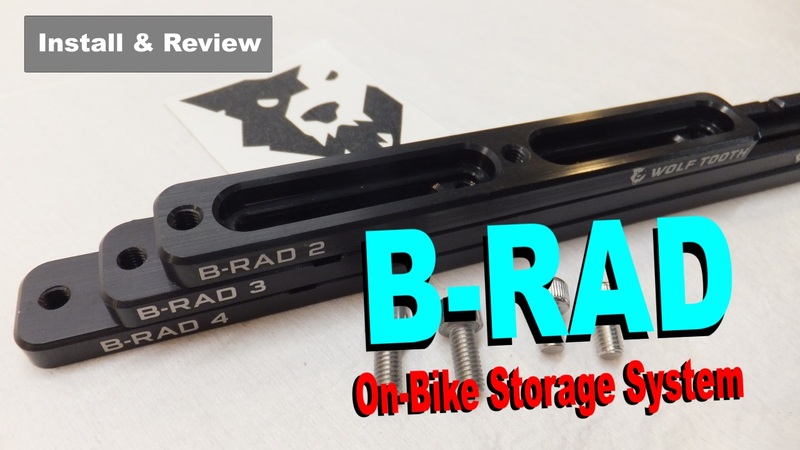 The B-RAD 4 is the supersized rail offering nine threaded holes with four slots. It measures 12.1 inches (307mm) long and weighs 73g. It also comes with the neoprene foam, zip ties and stainless steel bolts. This rail offers the maximum flexibility and storage capacity. 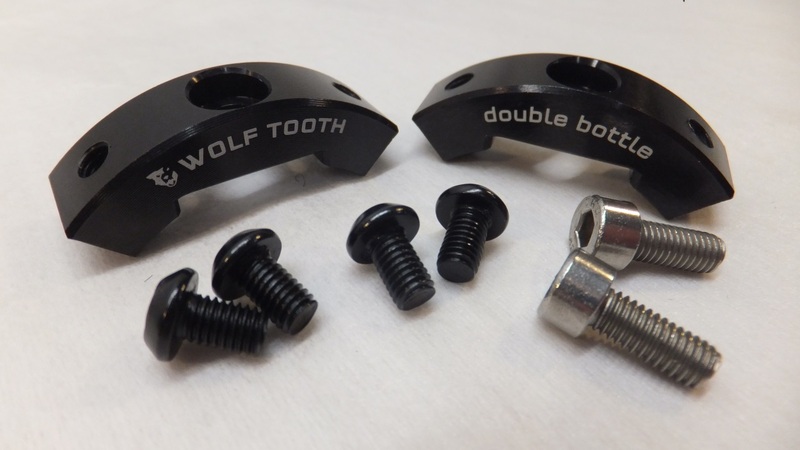 To get a true picture of how these rails will fit your bike, Wolf Tooth has provided printable template so that you can select the right mounting plate(s) for your ride. The Strap and Accessory Mount simply holds stuff. Mounted to a B-RAD rail, the heavy duty velcroed strap and EVA foam pad can securely hold any number of items up to 80 mm (3.14in) in diameter . . . which is a little bigger than a standard water bottle. It weighs 41g, comes with two 18-8 bolts for mounting and pairs well with the Double Bottle Adapter. Prior to mounting it to a B-RAD rail you thread the nylon strap through the slots in the mounting base. The nylon strap is textured on the inside to give superior grip. The base also has two raised ridges (visible in pic) that slip over the edge of the B-RAD rail to ensure that it stays in place. No need to guess what this B-RAD accessory does . 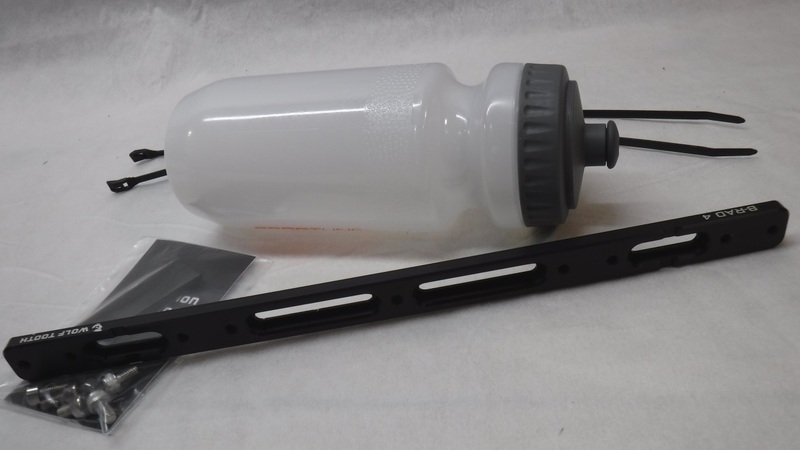 . . the Double Bottle Adapter allows you to run two water bottles side by side for those thirsty days on the trail and at 18g it weighs practically nothing. 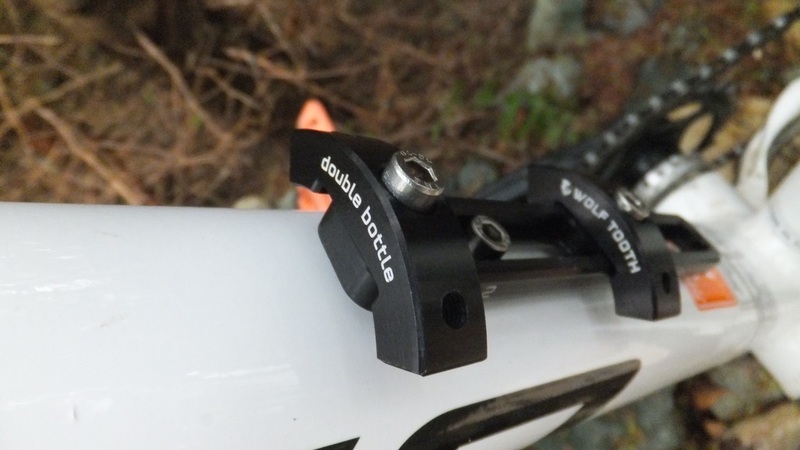 There are two longer stainless steel bolts for mountain to a B-RAD rail (or to the regular water bottle mounting points) and four shorter bolts to mount your two favorite water bottle cages. 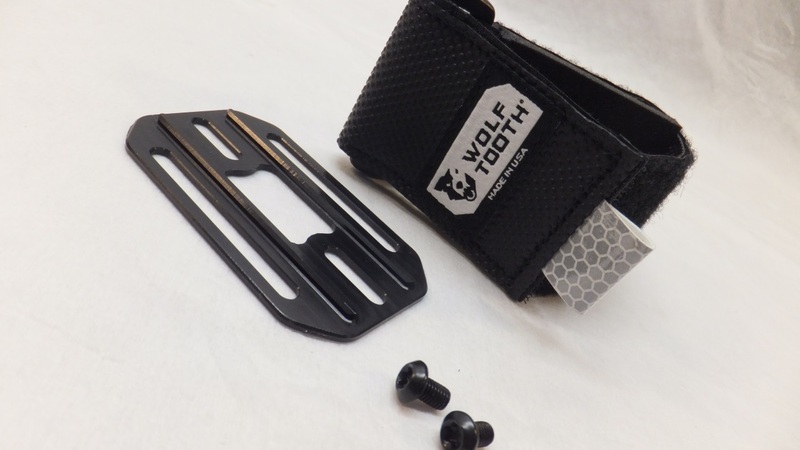 And like all Wolf Tooth products these are made in the USA. First is to figure out where to mount the rails. 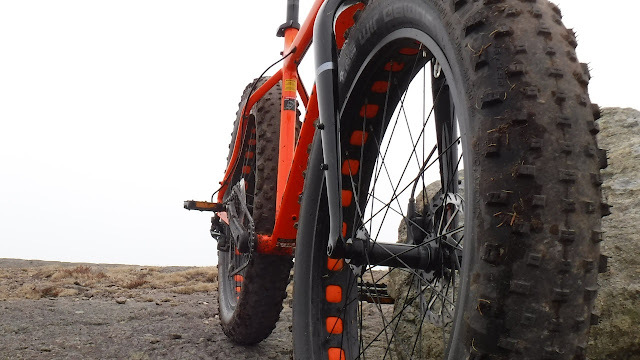 Now I'm sure some of the long distance bikepacking rigs have braze-ons every couple of inches, but common areas to find them on fatties include on the top of the downtube (in the frame), under the downtube, on the seat tube (inside the frame) and on the fork blades. Frame opening sizes vary by manufacturer and the actual frame size itself. 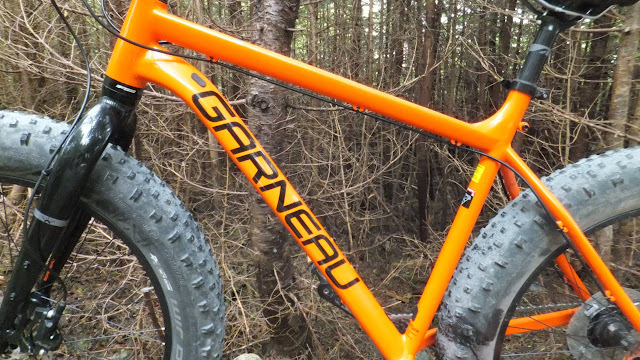 The Sasquatch 6.1 has a small frame opening for its large size. Getting a frame bag to fit this bike is a task, and storage would be minimal. But using small and midsize B-RAD rail allows for extra gear to be carried. On the other hand, the Gros Louis 2 has a much larger frame opening which can easily accommodate the larger B-RAD 4 rail and subsequently can carry more gear. With all the different frame geometries there will be at least one B-RAD rail that will fit. As mentioned above, the printable template will allow you to test fit before you buy. While the supplied bolts mount to the water bottle braze-ons, they actually fit inside the B-RAD rail slots. 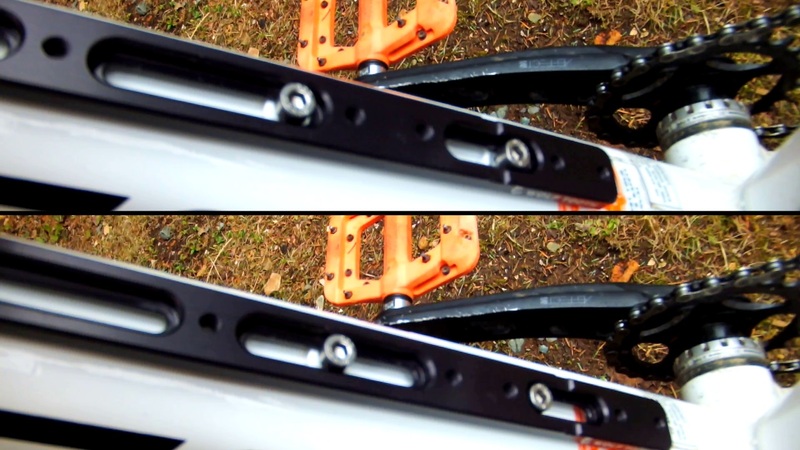 This allows you to easily fine tune the fit by loosening the bolts and sliding the rail. 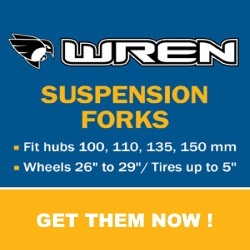 The fork blades offer probably the best location for placement of the B-RAD 4 as there are no space restrictions. 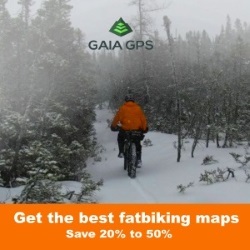 The only consideration would be the weight limitations on the front fork. The Double Bottle Adapter was very easy to install on the B-RAD rail. I did notice that depending on the frame geometry and location chosen, sometimes it was easier to install the Double Bottle Adapter on the rail first and then install the rail on the frame. It mostly had to do with getting room to spin the bolts. The Strap and Accessory Mount can run solo on the B-RAD 2 or will pair up well with the Double Bottle Adapter on the B-RAD 3 and B-RAD 4. 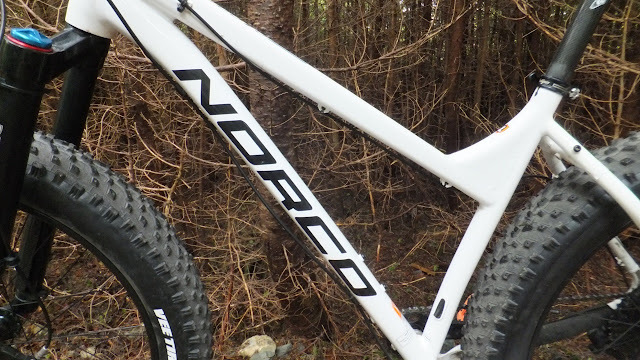 The actual length of the item you plan to carry would determine which rail to use and where to mount it on the bike. Mounting the B-RAD rails in different locations with different accessories gives you endless options. The Double Bottle Adapter was mounted on the fork, high in the frame, low in the frame and under the downtube . . . on various rails. With the wide q-factor on the fatbike I did not hit the bottles with any moving body parts while riding, mounting or dismounting. When mounting up the B-RAD 3 and 4 its important to use the neoprene foam pad and zip ties to further secure the rail to the bike. 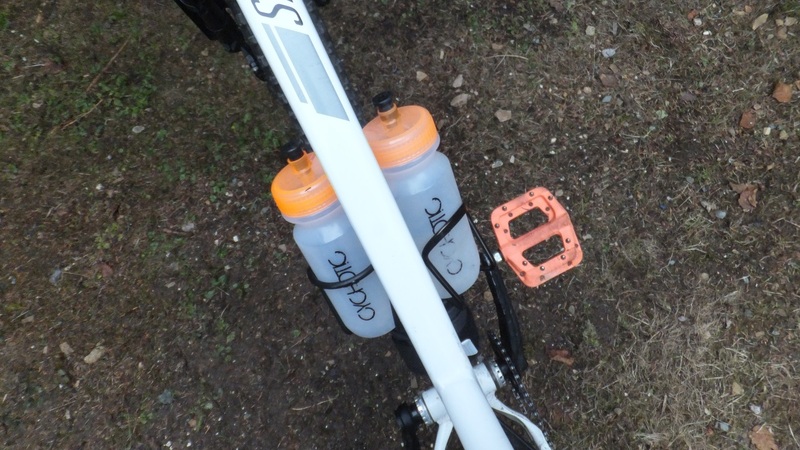 I can see a Double Bottle Adapter on each fork (mounted high) would benefit long distance treks with quick access to four water bottles. The Strap and Accessory Mount looks lonely on its own and was better paired with the Double Bottle Adapter. 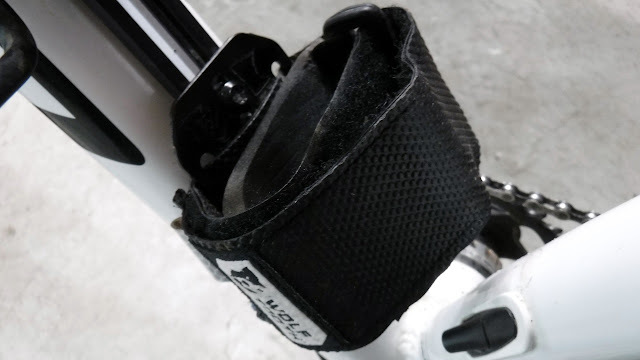 Using an old water bottle (or similar container) to stuff in bike tools gave the Strap and Accessory Mount a unique purpose. If mounting to a fork blade, much longer items could be carried like axes and portable saws and even fishing rod cases for when heading out to your secret fishing hole. Mounting heavier items lower in the frame does keep the center of gravity lower. 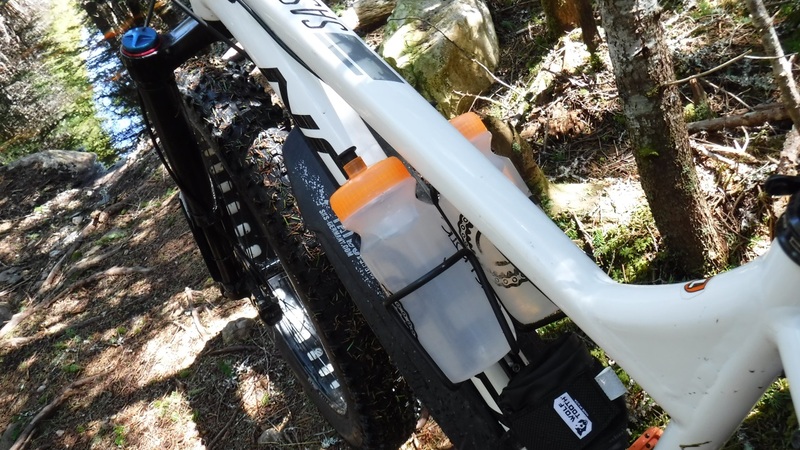 Out of the various combinations I found that for every day trail riding the frame mounted B-RAD 3 with the Double Bottle Adapter mounted mid-bike and the Strap and Accessory Mount below (sporting a spare tube) was the best combination. 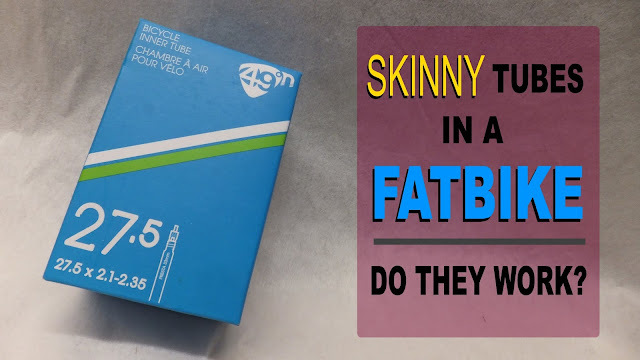 Having the extra water bottle at my fingertip was very much appreciated on warm riding days and moving the bike tube made my backpack lighter. And the system is tough. I had an OTB experience that ended in a trip to the hospital for me . . . yet both water bottles, the rail and accessory mount escaped without a scratch. As I understand, the Double Bottle Adapter and Strap and Accessory Mount are the tip of the iceberg for Wolf Tooth and their B-RAD system. There is practically an endless number of mounting configurations using the B-RAD system, so the end use is really up to you. As I head out on different adventures I'm sure that I will discover new configurations to suit the ride and my needs. 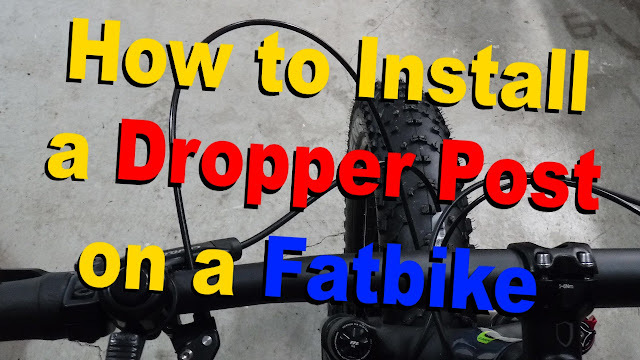 So if you are looking for new an innovative ways to increase and maximize on-bike storage on your fattie . . . be sure to check of the B-RAD system by Wolf Tooth.